Key fob systems can be defective. In some cases, they cause problems because their owners forget to push an off-switch, which means the car will continue to run until out of gas. This may result in carbon monoxide poisoning and death inside a garage. Our key fob defect lawyers are aware that manufacturers may not warn of this risk or design the car to shut off after a certain period of not operating. Sometimes the key fob can adversely affect the ignition. GM announced a 2014 recall based on an ignition switch defect. If the key ring with the fob was too heavy, the defect in the ignition switch could result in the car turning off, and the air bags would not be deployed. If you suspect that a defective key fob caused your car accident, the auto defect lawyers at Moll Law Group are available to help you recover compensation. We handle litigation across the country, and billions of dollars have been recovered in cases in which we have been involved. Product liability litigation requires plaintiffs to prove that a particular product is defective. There are three kinds of recognized defects: marketing defects, design defects, and manufacturing defects. Design defects affect all of the items in a product line because they are flaws in some intentional aspect of the design or specifications. Manufacturing defects are usually the result of an error in the process, and they may be a one-off or affect only a limited batch of the product. Marketing defects are also known as failures to warn. They may include omissions in the instructions associated with a particular product. It may be necessary for your key fob defect lawyer to retain an expert to analyze whether a product is defective. In some jurisdictions, in design defect cases, an expert may also need to testify on whether there was a feasible alternative design that would have had the same utility. For example, an expert's testimony might be necessary on the issue of whether the manufacturer should have built in a protection against the possibility that an owner would forget to hit an "off" button on a "smart" key fob, so that the car would not idle long after the owner had left the car. 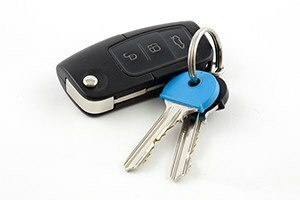 With regard to a key ring and fob that is too heavy, resulting in an ignition switch being turned off while the car is in motion, courts might also look at whether the manufacturer responds quickly enough after learning of the defect. If a manufacturer is aware of a serious risk defect and fails to warn consumers, it may be liable for marketing defects as well as design defects. Generally, a plaintiff can recover compensatory damages for a defective design or a marketing defect. Compensatory damages are intended to account for economic and noneconomic losses. However, in cases in which a manufacturer conceals known defects in a product from the public, punitive damages may also be available. A defective key fob can cause hazardous situations that result in serious injuries. If you believe you were hurt due to a defective key fob, the key fob defect attorneys at Moll Law Group are available to pursue a claim or sue the manufacturer or other responsible parties on your behalf. Our firm represents injured consumers throughout the U.S., including in states such as California, Florida, New York, Texas, Pennsylvania, Ohio, and Michigan. Contact us via our online form or call us at 312-462-1700 to set up a free appointment with a product liability attorney.